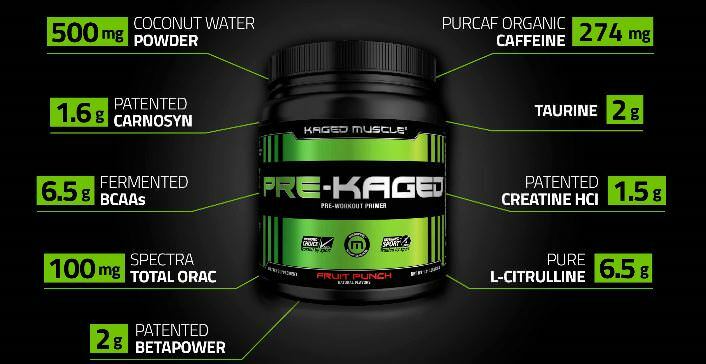 Pre Kaged by Kris Gethin is a seriously popular pre workout, but is it as serious about your gains as you’d expect? When Kaged Muscle first came out and released Pre Kaged, we were all over it. There was so much hype, and we thought it was going to be like Pre Jym all over again. But, once we tried it – it sucked. So what’d we do? We threw away the tub, and didn’t review it. Well, here we are 3 years later and Pre Kaged is still mad popular. This time, things went much, much better. This time around reviewing Pre Kaged, the whole staff enjoyed the process. The biggest note on this pre workout, was how incredible it tasted! Compared to other large-dose pre workouts, the taste was out of this world good. In the gym, Pre Kaged was a pleasure as well. The pump is pretty good, but what really impressed us was the compounding strength effects due to creatine and all of the leucine. Simply put, over time you WILL get stronger taking Pre Kaged and lifting heavy. With that being said, what more can you really ask for? Pros: Tastes great, decent pumps, will increase strength over time. The ingredient’s contained in Pre Kaged are pretty good. After all, the whole stick to this is pre workout is how “Kris Gethin had to tediously make his own pre workouts ingredient by ingredient to get the results he wanted”(1). So, how do they stack up, really? We’ll cover that here. L-citrulline and l-citrulline malate have quickly become the backbones of quality pre workout supplements. Both forms of citrulline have been found to raise nitric oxide levels better than straight l-arginine (2). Citrulline malate has more research backing its ability to improve performance (3)(4). Straight l-citrulline tastes better than citrulline malate does. Basically: Gethin’s 6.5 gram dosage is spot-on and powerful. However its typically chosen because it tastes less acidic – L-citrulline is great, but not superior to l-citrulline malate. Quercetin, is a powerful anti-oxidant that has been found to improve mitochondrial function and general health and performance (5)(6). Kaged Muscle discusses this anti-oxidant effect, however, doesn’t comment on the fact that this ingredient is in the pump category on the label. For overall health reasons, we’re happy to see this ingredient. However, there are a few recent studies that suggest quercetin supplementation does not effect athletic performance or recovery (7)(8). Basically: Gethin including Quercetin as an accessory to the SPECTRA complex would be cool, but its presence in the pump category or suggesting it improves performance isn’t quite there (from a hyper-critical BWSB perspective). The value of amino acids during intense exercise and dieting has been of fierce debate for quite some time (9). 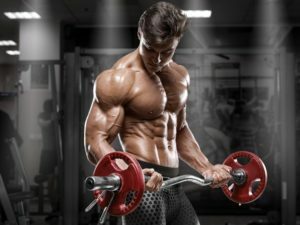 While reviewing the best BCAA powders, we explained that BCAAs taken before exercise and alongside pre workouts can improve performance and overall aesthetic goals. While the dosage of 3.5 grams may seem low to some, when in combination with other pre workout ingredients, we expect nothing but beneficial effects (10). 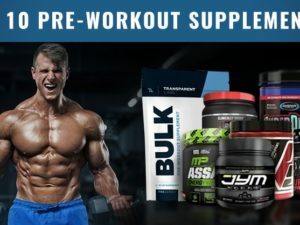 Basically: Gethin wants to increase endurance and reduce mental fatigue using BCAAs, similar to Jim Stoppani’s Pre Jym and Transparent Labs BULK pre workouts achieve. Clearly, Kris is a believer in the powerful anabolic effects of Leucine (11). Including this in Pre Kaged really wasn’t necessary, as most pre workouts do not. However, from his background and experience – clearly it meant something to him. Basically: Including 3 grams of leucine was a personal experience based decision for increasing the anabolic nature of Pre Kaged. Beta-alanine 1.6 grams: As you should already know, this is not a clinically effective dosage of beta-alanine. Betaine Anhydrous 2 grams: Improves strength and performance in athletes over time. This dosage is good. Creatine HCL 1.5 grams: A hefty dose of a powerful ingredient. The creatine hcl in Pre Kaged defines the product and brings forward most of the strength gains. Basically: While formulating Pre Kaged, they couldn’t afford to put in enough beta-alanine – but nailed the betaine and creatine hcl dosages. Coconut Powder 500 mg: May improve endurance and hydration. SPECTRA 100 mg: may improve anti-oxidant ability, but 100 mg… Most likely included for coloring. You can learn more about SPECTRA from Futureceuticals here. Basically: The hydrate and defend blend in Pre Kaged really doesn’t get us going. Taurine 2 grams: While taurine may improve cognitive focus and energy, its often supplemented with to maintain balance with beta-alanine. furthermore, may improve cellular hydration. N-Acetyl L-Tyrosine 1 gram: Effective for improving focus. L-Tyrosine 850 mg: Different form, same purpose. PurCaf Caffeine 274 mg: A ‘natural’ form of caffeine from the green coffee bean. Basically: The stimulant and focus complex in Pre Kaged is extremely effective considering it does not contain l-theanine or Mucuna Pruriens. We liked it. For starters, while we won’t hold bad taste against an exeptional pre workout – its worth noting how great Gethin’s Pre Kaged pre workout tastes. As well, performance in the gym was strong: Good stimulant energy and awesome creatine power. Lastly, the price wasn’t all that bad – all things considered. Almost 8 grams of ‘other ingreidients (fillers, sweeteners, carbs)’ that is advertised as ‘effective serving size’. Overall, our recent experience was great with Pre Kaged and we loved it. Even though we had 3 complaints about the supplement, Pre Kaged is rocking, and will be making our top pre workouts (view here) ranking now that it has been vetted and proven effective by the entire fitness community. How was your experience with Kaged Muscle’s Pre Kaged?